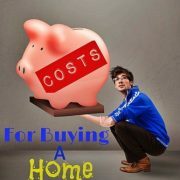 Unfortunately, there are a number of fees and costs associated with buying a home. Here is a list of the more usual ones. Not all of them will apply to all situations. Stamp duty — This is the big one. All other costs are relatively small by comparison. Stamp duty rates vary between state governments and also depend on the value of the property you buy. In NSW, stamp duty has been abolished for first home owners buying properties up to $650,000 and concessional rates applied to homes up to $800,000. Legal and conveyancing fees — Generally around $1,000 – $1500, these fees cover all the legal requirements around your property purchase, including title searches. Building inspection — This should be carried out by a qualified expert, such as a structural engineer, before you purchase the property. Your Contract of Sale should be subject to the building inspection, so if there are any structural problems you have the option to withdraw from the purchase without any significant financial penalties. A building inspection and report can cost up to $1,000, depending on the size of the property. Pest inspection — Also to be carried out before purchase to ensure the property is free of problems, such as white ants. Your Contract of Sale should be subject to the pest inspection, so if any unwanted crawlies are found you may have the option to withdraw from the purchase without any significant financial penalties. Allow up to $500 depending on the size of the property. Lender costs — Some lenders charge establishment fees to help cover the costs of their own valuation as well as administration fees. 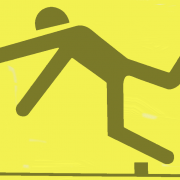 Connection costs – though not huge, the various utility connection fees can give your cashflow a temporary hit. http://brickhill.com.au/wp-content/uploads/2017/09/home.jpg 400 386 admin http://brickhill.com.au/wp-content/uploads/2017/03/brickhill-340-x-156.png admin2017-09-24 18:22:102017-09-24 18:29:52What are the costs of buying a home? By working with a mortgage broker, you will be able to find solutions that benefit your long-term goal, rather than hindering plans. While a broker can’t assist you with forecasts on future property values, he or she can help you reassess your current financial position, run through your plans and future payments, and decide if you can afford to take on more debt. With a broker to assist, the next step is to investigate how much you need to borrow. Work out the specifics of your renovation, what the average cost to renovate is in your area and how much you are eligible to borrow. 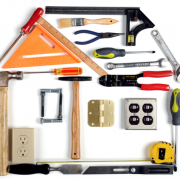 You should aim to spend no more than five per cent of your property’s value on renovation. If renovations are likely to take over your living quarters you may need to also consider the additional cost of accommodation for the renovation period. Once you decide to renovate, if you are trying to add value to a house to resell, it is important to look at the rooms and areas that will add the most value. These are average renovation prices; however prices will fluctuate based on the city and suburb. The final hurdle to look at is the council fee. The council can charge you up to $2,000 for an application fee, although prices can vary. After speaking to a broker and finalising the renovation, make sure you allow an extra 10 per cent in your funds, to cover any unexpected costs. If after the assessment and investigation you decide to renovate, there are three types of loans to consider when funding the cost. and renovate your house: a line of credit loan, a construction loan or increasing your existing home loan. Buying your dream home is exciting, so the last thing you want is for your home loan application to be held up. While many factors are considered in assessing an application, showing stability and consistency is key for lenders to determine whether you will be able to repay the loan. But sometimes what’s happening in your life can trip you up. Here are some things to be aware of. If you’re at the other end of your kid-wrangling years and looking at returning to work after an extended break, it may be best to wait until you’ve been back at work for a few months before applying for a loan. This will give you time to show stability and consistency in your employment record. Having a consistent employment record doesn’t mean you need to have the same job for years, but if you’re planning on applying for a home loan, it might be best to hold off changing jobs. If you do have to, it’s worth knowing that with some lenders you’ll need to show at least two pay slips with the same employer.1 If you can show over 12 months in the same job that’s even better. If you have a probationary period in your new role, it could also be difficult to have a loan approved until you’ve completed it and the role is made permanent. For the self-employed, demonstrating a stable income can be particularly difficult, which is why it’s a good idea to have an accountant. They can help you put together financial statements, which you’ll need to include as part of your loan application. Generally, you’ll need at least one year’s history to support your application. If overtime or shift allowances are a significant part of your income, your broker will be able to provide advice on which lenders may take these into account for loan repayment ability, as not all do. Developers generally offer incentives because they need to get pre-sales in what could be a slow or oversupplied market, which in turn enables them to get a project up and running. 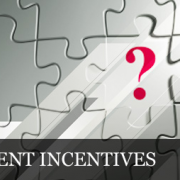 Offering incentives is a marketing tactic. The problem for buyers is that they could end up overpaying for a property and then having issues with obtaining finance because the valuation does not match the contract price. The incentive is usually offered in lieu of reducing the purchase price. So, if the developer offers to pay stamp duty or give a $30,000 car, buyers might feel like they’re essentially paying $30,000 less for the property, but they’re paying the price on the contract which could be too much as the incentive is built into the price. If you buy a property for $500,000 with a $30,000 incentive, you might think you’re paying $470,000, which is probably its true market value, but you’ve still contracted to buy the property for $500,000. When the valuers acting for the lenders assess whether they will give you finance, they don’t take the incentive off the price – they look at the contracted price and the valuation must come up to par for a buyer to get finance. The problem is that since the property is probably worth less the valuation, it may not be high enough for the bank to lend to you. 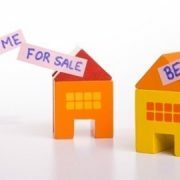 Put simply, valuations can fail to stack up because the property is only worth the price minus the incentive, but you’ve contracted to pay the full price. It should also be remembered that the incentive received is not transferable, so that if the buyer looks to on-sell in the short term, he risks suffering a capital loss until(if) the value increases above the contracted price. 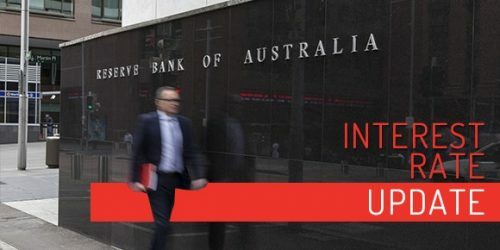 The Reserve Bank board has kept its cash rate on hold at a record low of 1.5 per cent for the 13th consecutive month, amid a host of signs that the economy is picking up. Treasurer Scott Morrison told the Coalition party room as the board was meeting that job advertisements were growing strongly, climbing 13 per cent in the past year. Jobs growth was the strongest it had been since 1978, employers’ wages bills had climbed 1.2 per cent in the June quarter and non-mining investment had climbed 2.6 per cent. The Australian Bureau of Statistics will provide a full accounting of the June quarter on Wednesday with the release of the national accounts at 11.30am. Market economists are expecting growth of 0.7 to 0.9 per cent, a jump from 0.3 per cent in the March quarter. Although a further cut in the cash rate looks unlikely for the present, an easing in the CoreLogic measure of house price growth to near zero in Sydney and Melbourne in August appears to remove one of the arguments for an increase. You walk into a home and it has terrible wallpaper or paint colours you wouldn’t dream of using, and it turns you off immediately. While the gut reaction is normal, it is important to step back from that instinct and think about it objectively. Painting is not particularly difficult or expensive, so try to imagine how the home would look with a different colour palette, one that is more your style. The ability to recognise which issues are merely cosmetic and can be easily fixed is an important key to finding a house you will love. Be prepared to visualize the home as you could make it with a few cosmetic changes. It will open you up to the possibilities and might allow you to consider homes that aren’t perfect the way they stand now, but could be just right with a little elbow grease and paint. In some cases, the major repairs that a house needs might be obvious. In other cases, they might only be unearthed during a home inspection. Either way, you will need to give serious consideration to whether or not you are willing to deal with the problem.